Netflix is the first place we go to when we turn on our TV. In the beginning of our love affair with it, we used it mostly to watch episodes of shows we enjoyed that we missed. We would watch entire series (hello binge) we didn’t get a chance to watch when they aired live, re-watch some of our most favorite shows and movies, or watch movies we never had a chance to view in the theater. 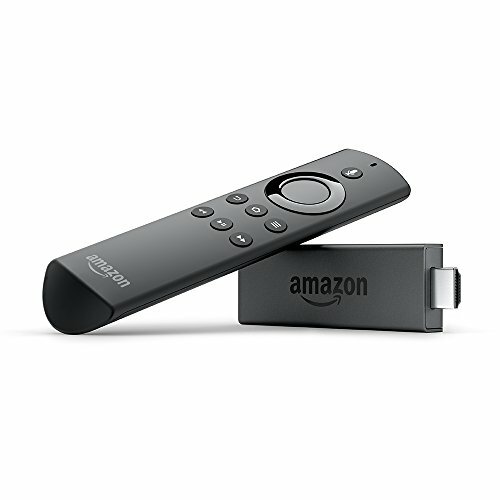 All-New Fire TV Stick with Alexa Voice Remote | Streaming Media Player But Netflix has more than just mainstream movies and TV shows. Netflix has a full lineup of their own original movies and series that you can only watch on Netflix. I came up with a list of 200 Netflix Originals but there are even more than that, I just got tired of typing. They have original shows for kids and adults in categories including drama, comedy, and documentaries. We used to watch Netflix on our Roku player , then on our LG Smart TV , but more recently on an Amazon Fire Stick . I’m a huge fan of the Fire Stick, but the Roku player is a great option for watching Netflix as well. The Fire Stick has voice operation using Amazon’s Alexa technology. Note: as of January 31, 2017. How many of the Netflix Originals have you seen?